Ensure your car is stationary, with the handbrake securely on. Having a few bricks behind the wheels or a wedge to stop the car from rolling is another sensible move, especially when jacking your car up. Also, take care when carrying out repairs to a car parked on a hill. Wear clothes suitable for the job. Baggy or loose clothes could get torn, ripped or worse still trap or strangle you when working on the car. Also consider removing all jewellery so that it doesn’t catch and could cause you injury, especially with moving parts on the vehicle. Keep the area ventilated and work outdoors if you can. If working in a garage be sure to keep windows open and limit the amount of time that the car is running. Otherwise you could inhale toxic and life threatening fumes (carbon monoxide) which only takes a few minutes to kill you. Watch out for fuel spillages. Keeping a sand bucket or a full watering can nearby could come in handy should you notice a leak. Try to clean it up as soon as possible. Don’t light naked flames when working near your car. 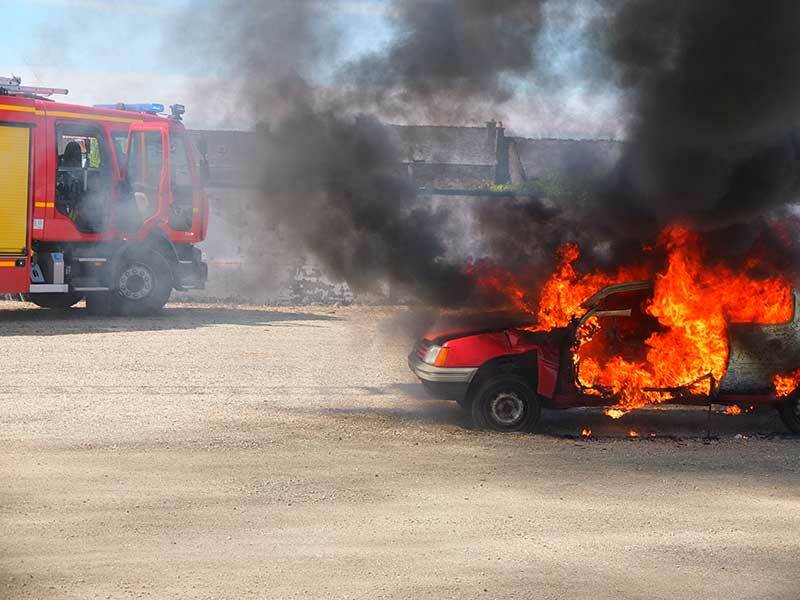 Smoking, or even sparks from faulty electrical devices could ignite fuel spillages or flammable chemicals you’re using for your car. It’s always wise to keep a suitable fire extinguisher nearby too. Having various types of extinguisher for electrical and fuel based fires is advisable. Ensure that your car has cooled down before attempting to access parts on the vehicle which could still be hot. When working on the electrics of the car, where possible try to disconnect the battery first. Always use suitable tools which don’t conduct electricity, otherwise you could short a fuse or worse badly shock or burn yourself. If two people are working on the car at the same time, make sure you’re both clear of the vehicle if you need to move it. Communicate at all times and when possible take it in turns to make repairs to avoid injury. Try to avoid carrying out maintenance on a road side. Find somewhere safe like a lay-by or an off the road drive to carry out car maintenance tasks, however simple they might be. If you’ve found these DIY car maintenance safety tips useful please share them. You never know, these tips could save someone’s life or a trip to the hospital. Should you find the task of maintaining your car too difficult and live in the Bath or Radstock area, MCM Garage can help. We offer full and partial services as well as car repairs and now can MOT your car on-site. Please get in touch with us today and book an appointment with one of our mechanics – call us on 01761 415501.